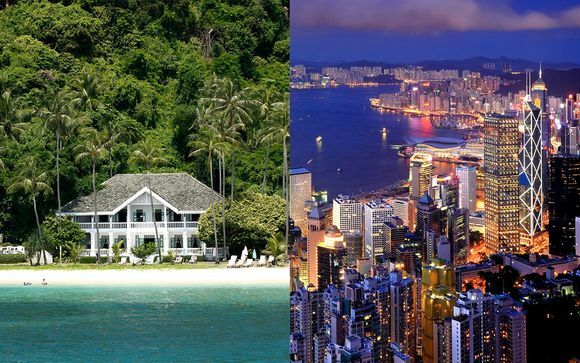 Booking to Hong Kong up to -70% off To take advantage of these offers, join now for free! The Peninsula Hong Kong is a 5* hotel with a rich history dating back to the glamorous 1920's and it still maintains it's luxurious atmosphere today. 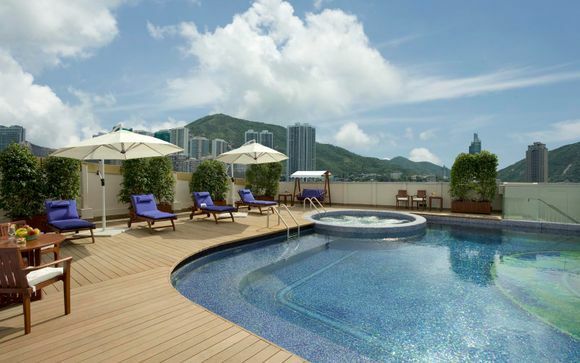 Harbour Plaza Metropolis is a 4* hotel overlooking the spectacular Victoria Harbour. Offering delicious food and amazing views, this is a great hotel to consider. The Mandarin Oriental is a stylish 5* retreat in the heart of the city. Offering contemporary decor, fantastic food and high quality service this is a hotel with easy access to the best tourist hot spots Hong Kong has to offer. Dorset Wanchaii is a 4* hotel in the business district of Hong Kong, offering a unique perspective on this fantastic city. Recently renovated rooms offer superior comfort while the surrounding restaurants offer a range of traditional cuisines. 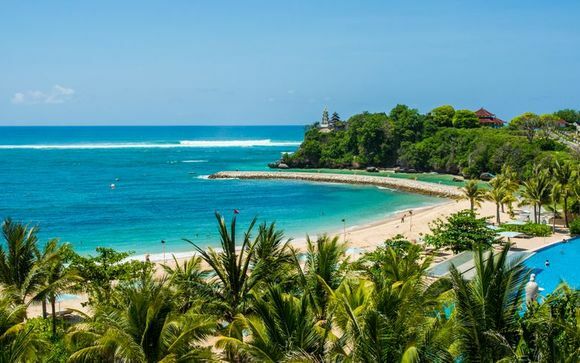 The Royal Pacific Hotel and Towers is a fantastic 4* hotel with large rooms and award winning restaurant offering the very best local cuisine. 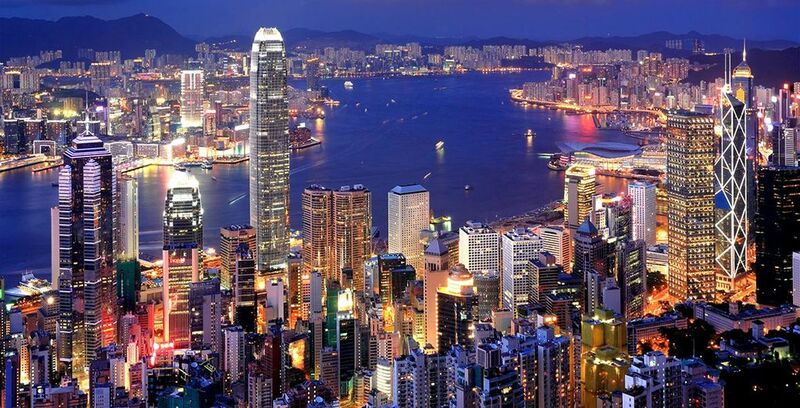 Our reviews on Hong Kong and its hotels: why make your booking there? As a metropolitan capital with loads on offer, Hong Kong is the ultimate holiday destination for families, couples and solo travellers wanting to experience as much as possible during their holiday. Disneyland is a must! The huge theme park located in the city offers a very different Disney experience to its American and European siblings, with unique cuisine and amazing rides suitable for all ages. Visiting Disneyland Hong Kong is sure to make your family vacation a memorable one! The Star Ferry travels from Central to Kowloon or Wan Chai to Kowloon in just a few minutes (6-12 depending on the time of day) making it the perfect way to get around and explore the city. 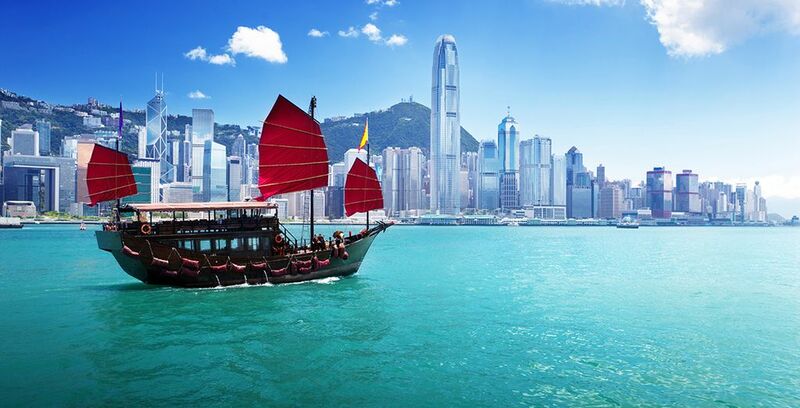 Try traditional Dim Sum and street food as you walk the streets of Hong Kong and take in this amazing culture. Travelling via the world famous Star Ferry will give you a unique view of Hong Kong and make getting from place to place much easier. 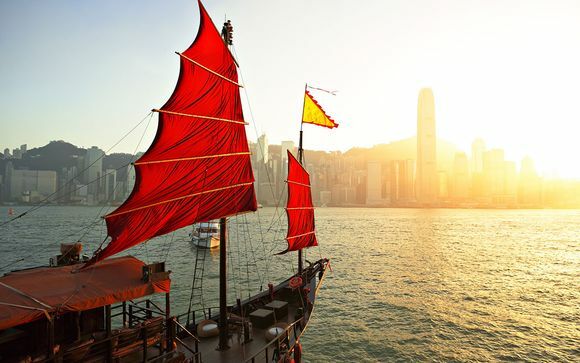 To fit plenty of site seeing into your time in Hong Kong, consider visiting a mixture of cultural locations. From the Space Museum to the Man Mo Temple, plan your day around all of the tourist hotspots on offer in this dynamic and exciting location. As a safe city that is welcoming to all, Hong Kong is a fantastic location to travel alone and meet new people. Make the most of Voyage Prive's amazing offers with up to 70% off four and five star hotels in the best locations in Hong Kong. 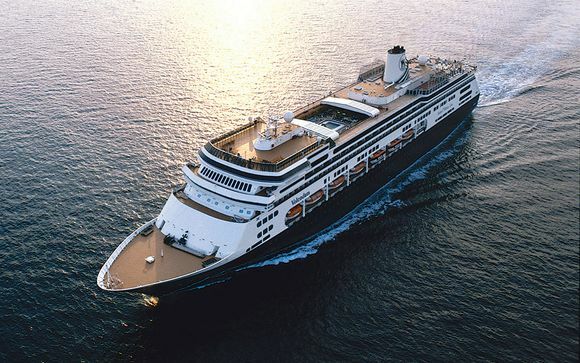 Click here (link needs to be added) to discover the best trips currently available and if there aren't any special offers currently on the site then set up an alert for Hong Kong offers to be the first in line for the best offers Voyage Prive has. With Voyage Prive you can make the most of package deals and book both your flight and hotel for greater ease. If you just want to make the most of the curated hotels on Voyage Prive then you can choose to book your hotel without flight being included. Central is the heart of the city, where locals like to work and play hard! Mong Kok is a tourist's dream with plenty of speciality shops and fantastic hotels. Sheung Wan is a great alternative location further out of the city. Tsim Sha Tsui offers a huge variety of hotels and things to do. 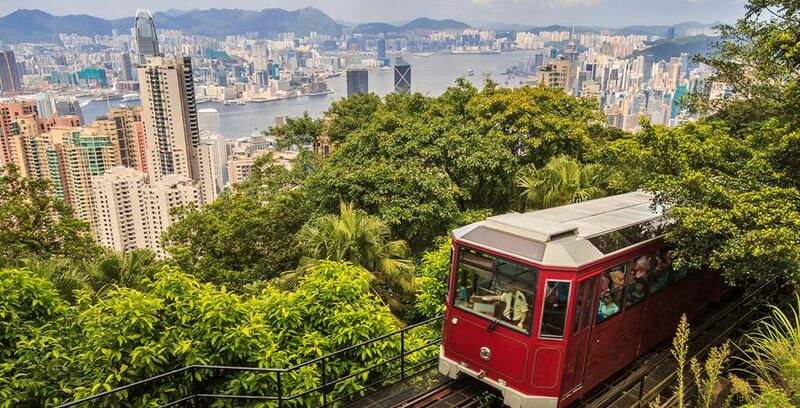 Victoria Peak offers an awe-inspiring view of Hong Kong and the surrounding area. Climb the tallest hill in Hong Kong for fabulous views over the bay, the perfect spot to watch the sun rise or set. Tsim Sha Tsui is a feat of modern architecture offering an eclectic array of the best shops from around the world, fantastic restaurants and amazing sites. Take in the neon lights as you sample the local cuisine and shop at designer outlets, all within the same area. It's one of the best modern highlights of Hong Kong and one you definitely shouldn't miss! Lantau Island offers the perfect break from the hustle and bustle of one of the worlds busiest cities. The largest island off Hong Kong it sits at the mouth of the Pearl River and offers beautiful walks and landscapes. Consider visiting early or late in the day to take in the fantastic sunrise and sunset and also enjoy the long walks and hikes around the island, taking in some of the magnificent local flora and fauna. The Tian Tan Buddha is one of the most awe-inspiring sites in all of Hong Kong. Sitting at the top of two hundred and sixty steps, this bronze statue known locally as The Big Buddha was completed in 1993 and has been well loved ever since. 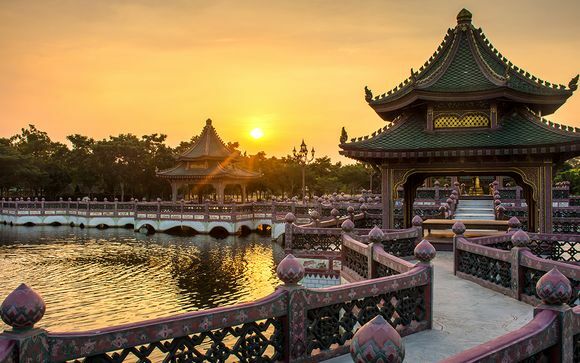 Located near a Buddhist monastery, it is an emblem of the local spiritual practices and religion and the spot offers a chance to slow down and have a few hours peace before returning to the fast streets of the city. Mong Kok is a part of the city where tiny streets are crammed full of amazing sites and smells. Discover local cuisines and street food as you wander along the bustling paths and take in local specialist stores selling traditional costume, local crafts and artwork. The Flower Market is truly a sight to behold as it is full of bold colours and amazing plants. Stop off at the Temple Street Night Market for a truly Chinese experience, where fortune tellers sit alongside food stalls and local artists. Perfect to finish off a day of site seeing by viewing how the city changes at night.